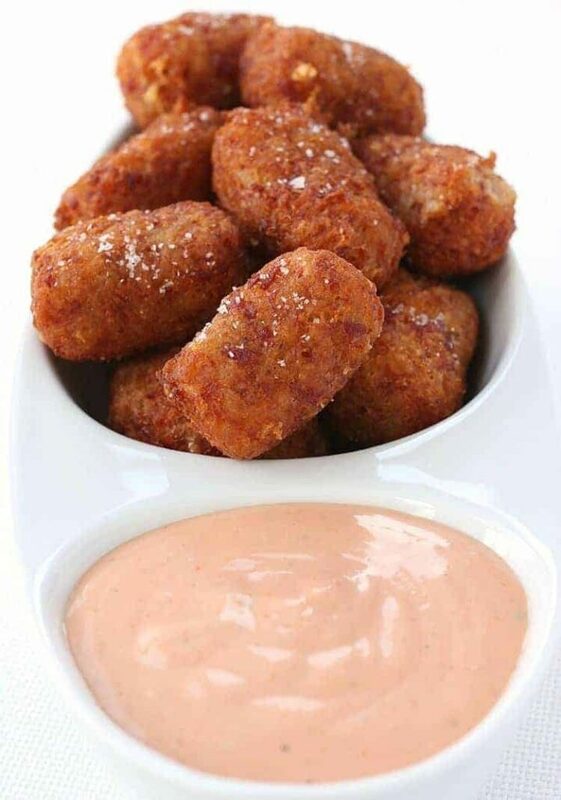 Cheesy Corned Beef Tater Tots are a tasty way to use leftover corned beef! 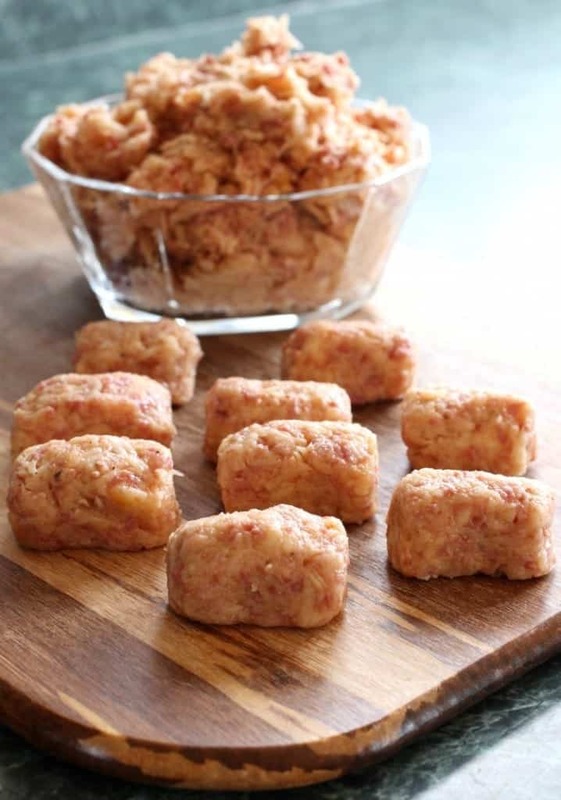 These crispy homemade tater tots are perfect for appetizers or a fun dinner! 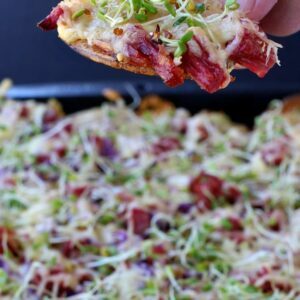 Make our Crock Pot Corned Beef and Oven Roasted Cabbage for dinner, then transform your corned beef leftovers into these cheesy, super crispy tater tots! Leftover corned beef is a pretty coveted item in my house. 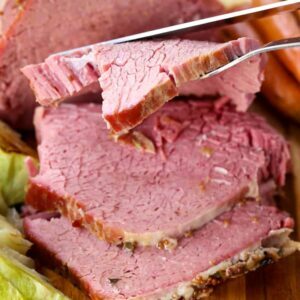 Since we only make corned beef a couple of times a year we usually make a pretty large one so that we are sure to have enough leftovers! Besides just eating leftover corned beef as is, it’s so tasty to make sandwiches with or used in lots of different leftover recipes. 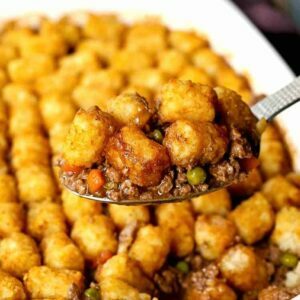 I’ve been wanting to try homemade tater tots for a while because like most things, it just seems like they’d be so much better than the frozen version. to get them super fine. But If you don’t want to buy a ricer, you can mash the potatoes up the way you normally do and this tater tot recipe will work just as well. 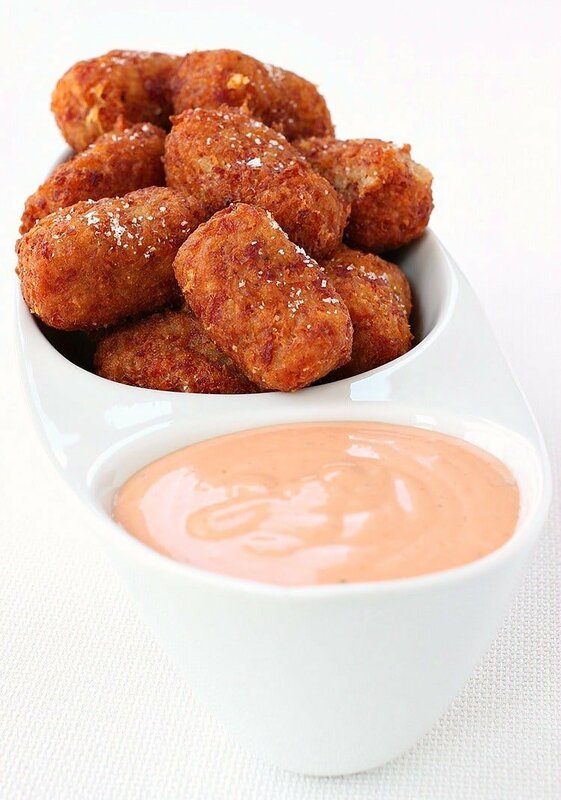 Do You Need A Deep Fryer To Make This Tater Tot Recipe? You don’t. I don’t even own a deep fryer, and I don’t really see the need for one. All you need is a heavy bottomed, deep pot. Fill your pot only about 1/3 of the way full with oil so that you don’t boil over and you’re good to start frying. A fry thermometer is a good tool to own, too. A fry thermometer usually clips on to your pot, taking the guesswork out of knowing when your oil is at the right temperature. I like using vegetable or canola oil for frying these tater tots, those oils can stand up to the heat and result in the crispiest tots you’ve ever had. What you do need is about 1/2 pound of leftover corned beef, a few pounds of potatoes and cheese. We opted for a sharp cheddar cheese here but if you wanted to use Swiss or even mozzarella that would work in this recipe too! So, what if you don’t have leftover corned beef? No problem at all. Just head to your deli counter and them slice you some! Corned beef is something I never used to get from my deli, until I became slightly addicted to some of these leftover corned beef recipes! 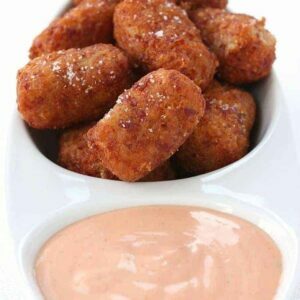 This homemade tater tot recipe are a perfect way to use your leftover corned beef from St. Patrick’s Day! No leftovers? Head to your deli counter and grab some corned beef there! Place the peeled potatoes in a large pot with water. Boil until tender and drain. Rice the potatoes with a potato ricer or mash until smooth. Add the potatoes to a large mixing bowl along with the corned beef, cheese, garlic powder, paprika salt and flour and stir well to combine. Add the canola oil to a deep pot, filling a little less than halfway, over medium heat until the oil reaches 375 degrees. While the oil is heating, form the potato mixture into “tots” about 2-3 inches big. You should have about 30 tater tots when you’re done. Fry for about 3-4 minutes until they get golden brown and crispy. Drain on paper towels and season right away with coarse salt. Repeat with the remaining tater tots until all are fried. Add all the ingredients to a small bowl and stir to combine.